Jacques Pepin, unlike other celebrity chefs, will actually teach you how to cook. So many cooking shows focus on competition or simply narrate recipes. Jacques Pépin’s shows emphasize technique. One of the best TV chefs ever just retired, and you probably never watched him. 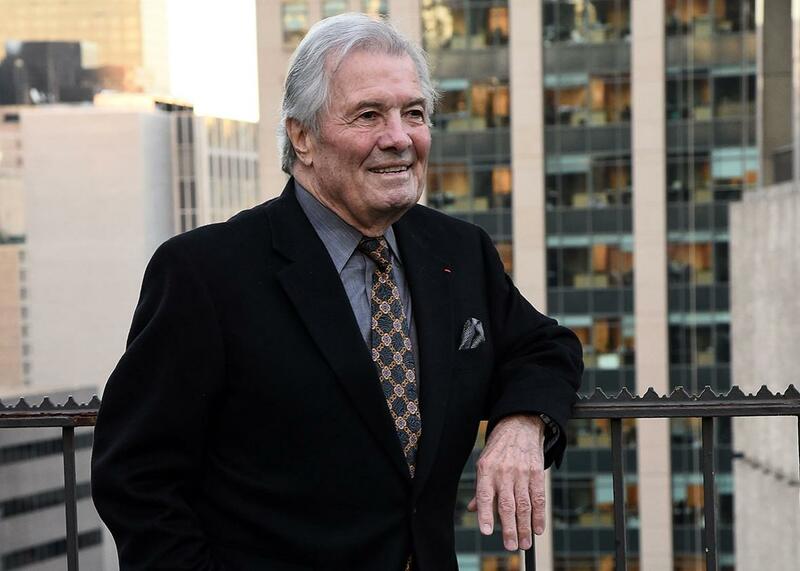 Not that Jacques Pépin—classically trained French chef, intimate of the late Julia Child, and former New York Times food columnist—is obscure, exactly. He served as the personal chef to three French presidents, including Charles de Gaulle, and worked at the renowned New York City restaurant Le Pavillon in the 1950s and ’60s. His encyclopedic 1976 guide to French cooking, La Technique, is legendary among professional chefs. But because his many cooking shows were tucked away on public television, he never became a household name on the level of Emeril Lagasse or Rachael Ray. (Pépin, who turned 80 last year, has said that his 13th PBS series, Heart & Soul, which concluded in March, will be his last.) That’s a shame, because his shows are an antidote to much of what ails modern food TV and, by extension, American cooking culture. It has become cliché to observe that Americans spend more and more time watching cooking shows and less and less actually cooking. Usually the phenomenon is blamed on competition shows like Top Chef or Chopped, in which the actual preparation of food is secondary to the heat of competition and the novelty of exotic ingredients. But it’s the more traditional cooking shows—the ones in which a host, alone in a kitchen, shows the audience how to make a dish—that tell us more about the disconnect between food TV and American kitchens. That’s because even these aren’t really cooking shows; they’re recipe shows. If you don’t know how to cook, or think you don’t know, it’s probably because you’re wary of peeling an onion or trimming the fat from a cut of meat. Yet most TV cooking hosts skip or breeze past precisely these moments: the vegetables are diced off-camera, the garlic is pre-minced, and the duck, I swear to God, may be pre-roasted. The host does little more than narrate the recipe, as if literacy were the greatest barrier to making dinner. With the trickiest details left unilluminated, these shows can make cooking seem harder, not easier. For decades, Pépin was a quiet but glorious exception to this rule: a TV chef who explained the how of cooking, not merely the what. In his shows, very few steps are elided, very few ingredients prepared in advance. Pépin is almost a compulsive teacher; he can barely pick up a carrot without explaining how to peel it. Teaching is fundamentally about appreciating the gap between what you know and what your student knows, and Pépin is unusually sensitive to the moments in which a fledgling cook can wander off course. Pépin’s technique-focused approach has more in common with Julia Child’s old shows than with that of most contemporary TV chefs. (This isn’t a coincidence: Pépin co-hosted a series with Child in the late 1990s, for which they both won Daytime Emmys.) He’s not entirely alone on the modern airwaves: As J. Bryan Lowder wrote for Slate a few years ago, Martha Stewart’s Cooking School, also on PBS, goes for a similarly educational approach. Unfortunately, it’s agonizingly boring. Not so with Pépin, whose wealth of knowledge, avuncular good humor, and idiosyncratic French accent make his narration a relaxing pleasure to listen to. To be sure, Pépin’s shows are low-budget and old-school, which might be jarring if you’re used to Guy Fieri. There are no rustic backdrops or trips to scenic farmers’ markets, just an old French dude in a kitchen. Freed from the pointless production values you’d find on Food Network—dizzying cuts, extreme close-ups of rising steam—you get to focus on the real action: Pépin’s hands. Watching him dice an onion or dip a kitchen-toughened finger into boiling water is like watching Steph Curry casually hit a three-pointer from half-court: No, you’ll never be that good, but it’s a marvel to behold, and you ought to copy his form. Consider this utterly representative clip from More Fast Food My Way, which, because he cooks almost every dish in real time, is my favorite Pépin series. In the span of two minutes, Pépin dispenses with a myth (that you shouldn’t wash mushrooms); demonstrates three basic techniques (washing mushrooms, chopping them, and adding water to soften sautéing vegetables); throws in a quick French language lesson (ficelle du métier, or “trick of the trade”); and utters one of his favorite aphorisms: “The recipe is only the expression of one moment in time,” meaning he’ll never make the dish the same way twice. None of this is mind-blowing, but it illustrates much of what makes Pépin special. There’s the teaching of technique, of course: mastering these kinds of little steps is what it means to “know how to cook.” But just as important is the combination of unquestionable kitchen authority and a surprisingly democratic attitude toward cooking. When Pépin says you should wash mushrooms, you believe him, but when he says it’s OK to depart from his recipe, you believe that, too. In other words, despite his pedigree, Pépin couldn’t be less of a snob. A classic French omelet isn’t better than a diner-style one; “it’s just different.” He uses potato starch in his quenelles Escoffier because arrowroot is too expensive. Plain white button mushrooms from the supermarket “are maligned a great deal, in my opinion.” He appreciates that people should cook what they like to eat, that the experience of eating has as much to do with emotional associations as with flavor. He’ll often make a recipe a certain way because that’s how his wife likes it. Pépin’s vague, improvisatory relationship with recipes is refreshing, even liberating. But this spirit of freedom only leads to good cooking if it’s grounded in technical mastery, just as the best avant-garde artists begin by mastering the traditions they will go on to dismantle. While Pépin recognizes the subjectivity of taste, he loses his anything-goes attitude when it comes to the techniques themselves: There is a right way to peel a carrot, to beat an egg, to remove the kernels from an ear of corn. Pépin’s series are thus an inversion of the Food Network cooking show, where the recipe is king. With Pépin, the recipes matter, but the technique is the main event. That’s a valuable lesson to learn. Cooking isn’t so daunting when you realize that making a good meal is less about originality than competence and confidence. Watch enough Pépin and you’ll learn that, to cook a legitimate dinner, you need little more than olive oil, some vegetables, and a knife—which he’ll show you how to use.